Goa is famous for its beautiful beaches. Along with beaches, the place is also famous for various adventure activities and sports. Adventure lovers visit Goa to enjoy the adventure activities like trekking, hiking, and safaris. Read this article and learn how to reach, beast time to visit and adventure activities in Goa. Being a well-planned city, Goa is connected with all major cities with railways, roadways, and airways. The distance from Mumbai to Goa is around 610 km and from Bangalore, it is around 560 km. From Mangalore to Goa is a less distance of 360 km only. Goa airport connects all major cities like Mumbai, Bangalore, Hyderabad, Delhi, Chennai and Kolkata with the city. The major railway stations in Goa are Madgaon Railway station, Vasco D agama station, and Thivim Railway station. Goa is a city of beaches. But apart from it thousands of people visit Goa for to enjoy trekking. 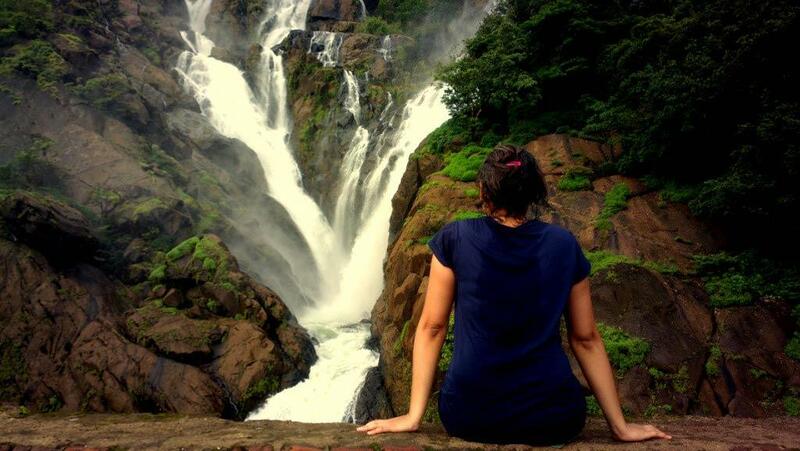 The famous trekking routes like Dudhsagar falls and Vagheri peaks are located in Goa. To trek Dudhsagar falls, several routes can be taken. The famous among these routes is Devil's Canyon. You can enjoy the magnificent view of gully from this route. The trek starting point is near the collem Railway station and the route passes through the dense forests, rocky landscape, and many other difficulties. It takes around 3 to 5 hours to reach the location. Another trek peak is Vagheri peak, famous in Goa. The height of the trek point is around 560km and you can enjoy visiting Netravali Wildlife sanctuary while reaching the peak. On the way to the peaks you can watch the amazing views of green forests, striking flowers, a variety of butterflies etc. you can also take pleasure of watching Fizzing pond, famous for its amazing display of rhythmic bubbles. The months from October to December are the best time to go for trekking. The cost for trekking: The price range for the trekking adventure in Goa is between Rs. 1000 to 3000. Apart from trekking, Goa is famous for hiking too. The term hiking means walking on the roads or tracks which are exigent and offer thrilling experiences. Cotigao wildlife sanctuary, Mahavir Wildlife sanctuary, Salim Ali Bird sanctuary and Mollem National park are few hiking destinations in Goa. The Sahyadri is also famous hiking destination in Goa. You can visit many scenic destinations while passing through the route. On this hiking route, you can enjoy plenty of waterfalls, thick forest ranges, and other natural phenomena. Hikers face various difficulties and challenges on the way and physical fitness is necessary. Carrying hiking boots, walking sticks, water bottles, and energy bars is must carry things. Along with it first aid kit and the torch are also important things to keep with you while hiking. The cost for hiking: The cost for hiking starts from Rs. 900 onward. After the Trekking and Hiking activities, Hot Air Balloon flight activities are preferred in South Goa. This tour starts at 6.30 in the morning and the activity starts with the inflation of the balloon by power-driven fans. When the balloon is filled with air, the propane burners are set to fire and after half an hour you are ready to fly in the air. The pilot is arranged in the handmade basket to take you up to 900 feet in the air. From the height, you can take a fantastic view of Goa. When you are enjoying your flight, your ground crew follows your balloon on ground and path for your safe landing. Hot air balloon ride cost : The activity costs you around Rs.8000 to 8500. Water Sports are the major attractions of Goa. Goa is considered as one of the best center for water sports in India. 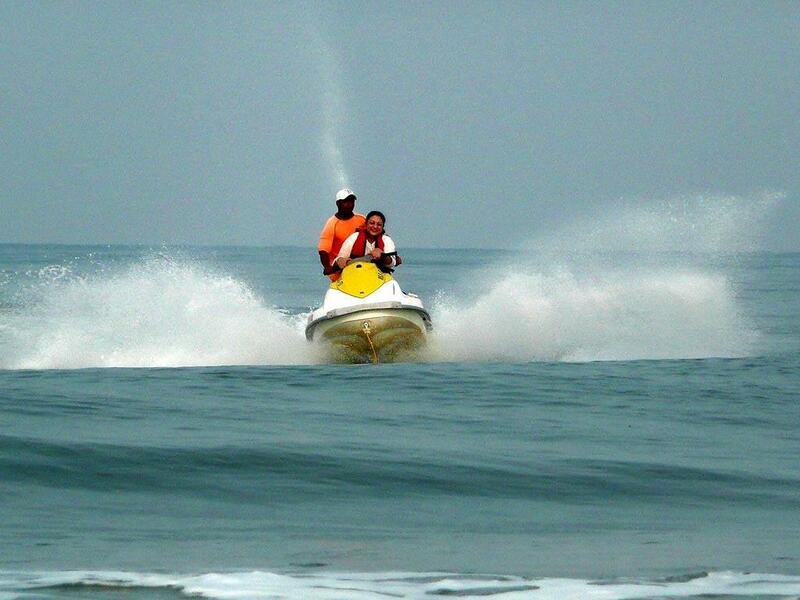 The visitors all over the world visit Goa for a variety of water sports. 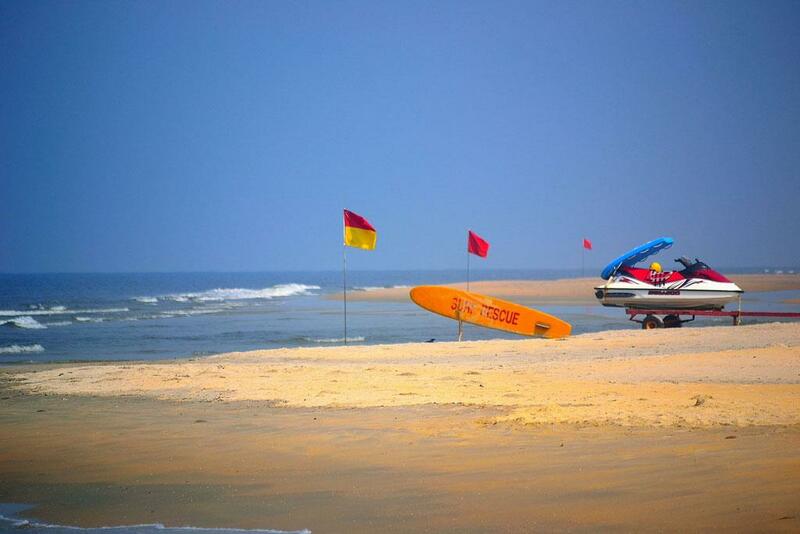 The beaches in Goa offer the water sports facilities for the tourists. Water skiing, windsurfing, parasailing, skibob, ski biscuit, snorkeling, water scooter, sports fishing, motorboat rides, yachting and harpoon fishing are the most famous water sports enjoyed by Goa tourists. 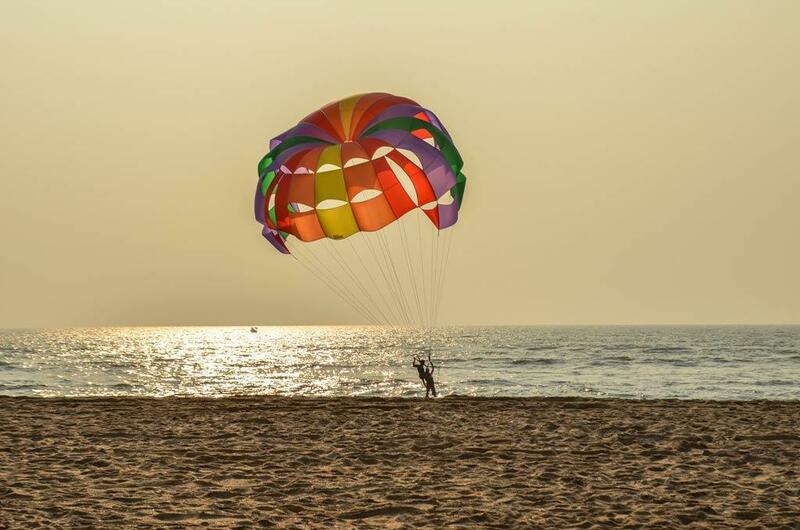 The beaches like Palolem, Anjuna, Vagator, Calangute, Mober, Baga and Miramar are famous for water sports activities. It is necessary to follow the instructions of the supervisors to be safe while involving in water sports. Water sports price in Goa : The water sports activities start from the price of Rs. 1700 onwards. This activity is specially made for the adventure and thrill lovers where you can enjoy riding extremely powered bike on all types of landscapes. It can be on rocks, in mud or even in the forests. It is sure that you can enjoy the extreme thrill and magnificent experience during your ride. Riding over the slopes, rough grounds, deep in the forests or on the grubby tracks can be breathtaking. Only the person above 14 years can take part in this activity. Your physical fitness is also important. What you need to do is to select a suitable track to start your biking activity. The price of ATV in Goa: The starting price for this fantastic activity is Rs. 500 only, cost may differ based on your types of ride and timings. This adventurous activity includes many techniques like walking, scuttling, climbing, jumping, abseiling and swimming while reaching to the Upper sauri Canyon. You need to cross 6 major waterfalls on the way to Upper Sauri canyon. It takes around 40 minutes to walk through the jungle to enter the Canyon with 2 and 8-metre abseils and nearly 7 jumps. The Canyon untangles its exquisiteness during the drop and people from all age groups enjoy their own skill levels. The activity starts in the morning around 10 am and ends in the evening by 5.00 pm with lots of thrilling experiences and memories. The cost of canyoning in Goa: The fee for the activity is around 2,400. Goa is crowded with visitors all over the year. But the summer season is quite hot. It is better to visit the place from June to October and also in winter season December to February . 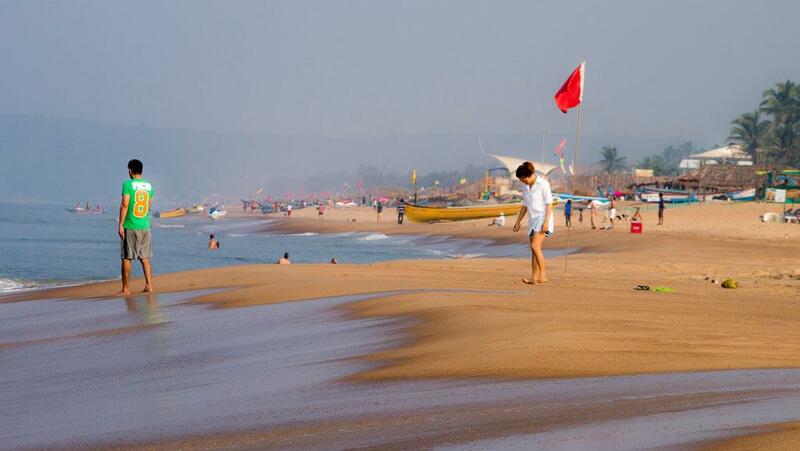 The Goa is overcrowded in the months of December and January for Christmas and New Year celebrations. 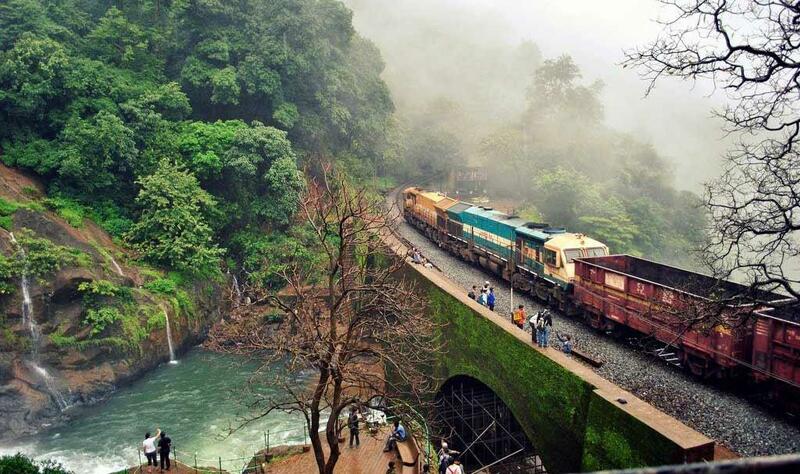 Dudhsagar waterfalls is a must visit place if you are visiting Goa. Goa visit will be incomplete if you miss this beautiful destination. we did jungle trek and it was an amazing experience. Nice Video The snorkeling boat trip made my day. Simply a WOW experience! swimming with dolphins.I.The calmness and the beauty of the marine life are worth experiencing. Really enjoyed the entire trip!! the guide was very helpful to us.